How can I not blog about this amazing all time favourite food of mine? The best pork noodles could be found in Restoran Sun Sea, Taman Overseas. I name it OUG's pride! Proof? Enter the coffee shop and you'll find 90% of the customers are having the same bowl of noodles! Honestly, I have been hooked and got addicted to the noodles since I was 14 or 15, heck I only actually tried other stalls's food for once or twice throughout. Restoran Sun Sea is easily located. Enter Overseas Union Garden from Old Klang Road. Locate the BHP Station on your right. Go straight and turn on the 2nd right turning. Go straight further and pass through a row of shoplot. The coffee shop is on your left; which is nearby the morning market. Beware of before and after school jam sessions whilst finding for parking space. Right pic: The stall which is always busy. Place your orders quickly. A good hot piping bowl of pork noodles (soup version). The strength in this stall's pork noodles would be it's sweet soup; which I felt rarely got out of the expected taste. Honestly, one sip and you can't stop in finishing the whole bowl of soup. The pork noodles here also comes with loads of ingredients; which is also another bonus. 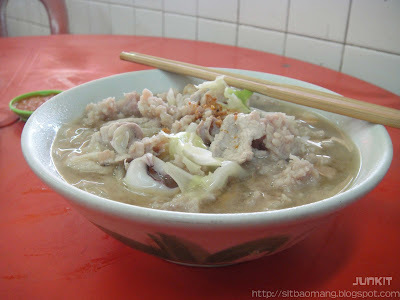 A standard bowl could consists of lean pork slices, minced pork, pork liver, pork intestines, squids, prawns and veges. As far as I noticed, a few more premium items could be add upon request; such as eggs, seaweeds and fish if I'm not wrong. Noodles varieties to be choose are the usuals: Yellow noodles, kuay teow, mee huun and lou shu fun. Dry version. My bowl of noodles, with special customized ingredients (favourite! 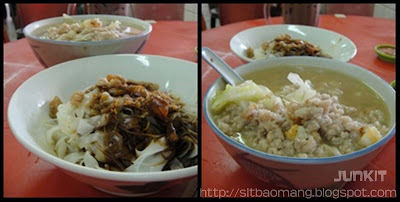 ): Mee hoon and kuey teow; with loads of minced pork and prawn with an egg. Guess visiting so many years and being close gave me more ingredients quantity, lol. The drinks from the coffee shop itself is worth praising. 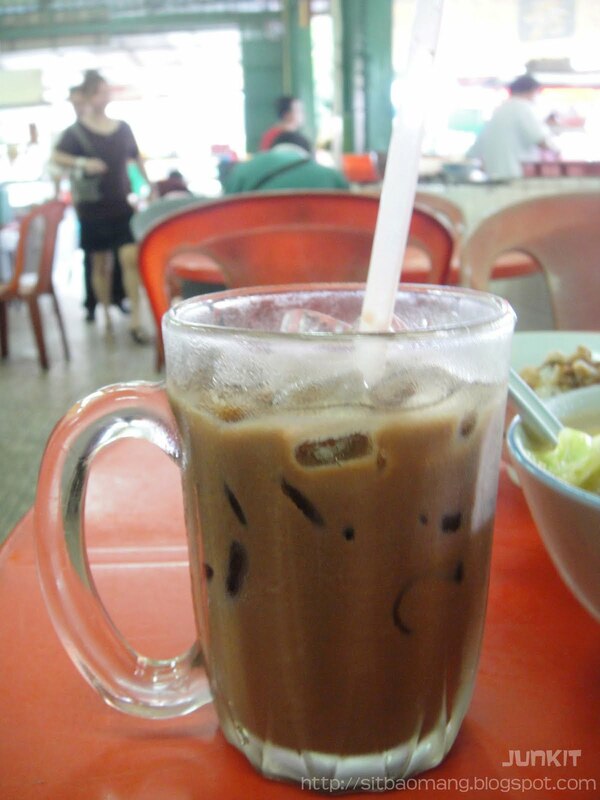 Although abit pricier by 20-30 cents compared to other coffee shops, the drinks here are thick and worth every of the extra cents. The Milo Ais (RM2.20) is very thick and just right the sweetness. Look at the colour! 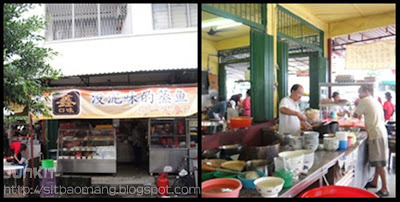 Restoran Sun Sea also has other stalls which servers pretty good food. Stalls serving your usual hawker food fare such as pan mee, chicken rice, yong tao fuu and curry noodles can be found there. Give it a try!